In Rome, there’s art and history on every street corner. Literally. Small paintings overlook nearly every street corner. Many of these, called Madonelle depict the Virgin Mary. Traditionally, these were painted to commemorate miracles. Some have frames, but the paintings in many of these are so faded that they’re illegible. Others, made of better quality material, painted more recently or better positioned, still look fresh and vibrant. 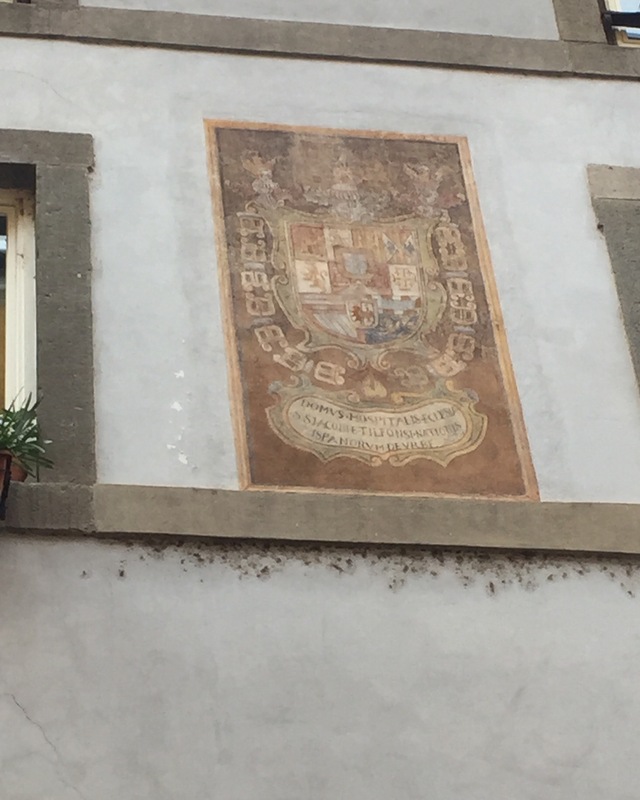 Other paintings denoted coats of arms, like this one not far from the place we were staying. 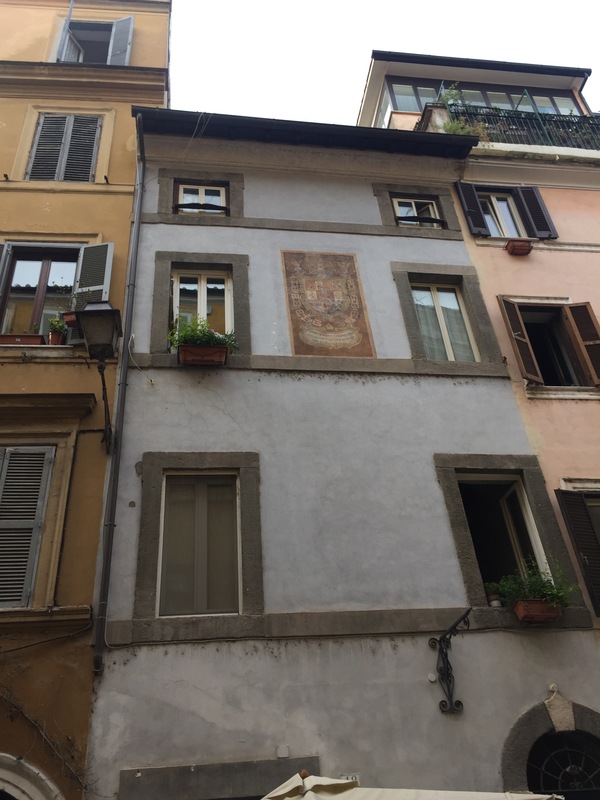 Rome is full of little historical details like this.